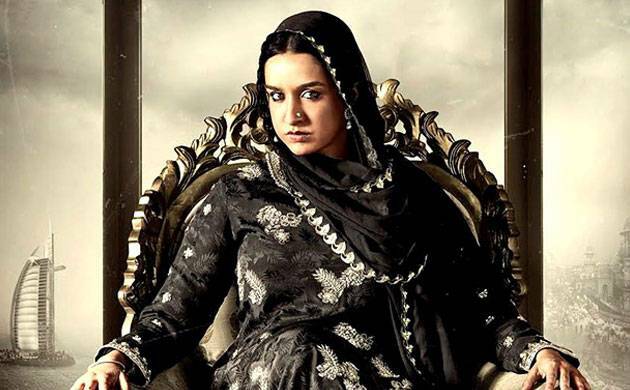 Producers of Shraddha Kapoor's upcoming movie Haseena: Queen of Mumbai has finally cleared the air about the movie's release and stated that the film will get a September release. The movie was initially slated to release on August 18. However, it was later postponed given the box office had two major releases before Haseena Parkar - Jab Harry Met Sejal and Toilet: Ek Prem Katha respectively. So to avoid any clutter the maker chose to postpone the release of the movie to September 22. “People can write what they want as long as we are coming in the news. We are coming to theaters on the 22nd of September and we never said anything otherwise. We are really looking forward to it and today we start the promotions for the film,” director Apoorva Lakhia was quoted as saying. Talking about the movie, Haseena: Queen Of Mumbai happens to be a biopic on underworld don Dawood Ibrahim's sister Haseena Parkar. While Shraddha Kapoor plays the titular role in the movie, it also features her brother Siddhanth in the role of Dawood. This is the first time the brother-sister duo will be sharing the screen space together and the two are pretty much excited about it. Interestingly, Haseena: Queen Of Mumbai will also mark Shraddha Kapoor’s first female protagonist film. She was last seen in Half Girlfriend opposite Arjun Kapoor.